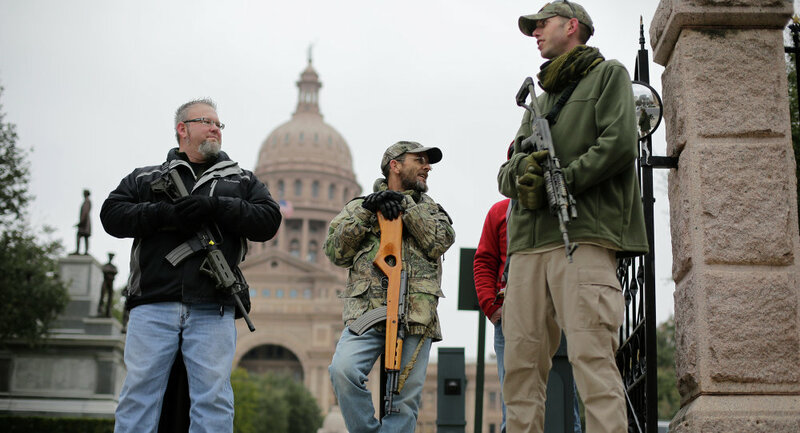 Within the first days of 2016, gun owners throughout Texas enjoyed the benefits of the Open-Carry Law, which allows them to place their handguns in their belts or holsters without concealing them as they walk through places. Apparently, those places include the 10 state psychiatric hospitals, which treat patients with serious mental illnesses. Another law in effect fines state agencies for improperly hanging “no-gun” signs. This week, Austin State Hospital took down such a sign and replaced it with one asking people to kindly keep firearms out of the premises. Still, the idea of bringing guns into hospitals for patients with mental issues is raising eye brows among anti-gun activists and Second Amendment supporters alike. Terry Holcomb of Texas Carry says the new law was not intended to welcome guns at psychiatric hospitals. Despite the new freedoms, hospital officials are urging visitors to keep firearms out of the facilities. “While licensed visitors are legally permitted to carry on our hospital campuses, our patients are being actively treated for psychiatric conditions, and generally it’s best not to expose them to weapons of any kind,” said Carrie Williams, spokeswoman for the Department of State Health Services. Formerly existing law banned concealed guns at state-licensed general and specialty hospitals. However, that rule did not apply to the 10 psychiatric hospitals because they are not licensed by the state. Transmissions from a Lone Star: Fun for the Whole Family at the Texas Gun Show!